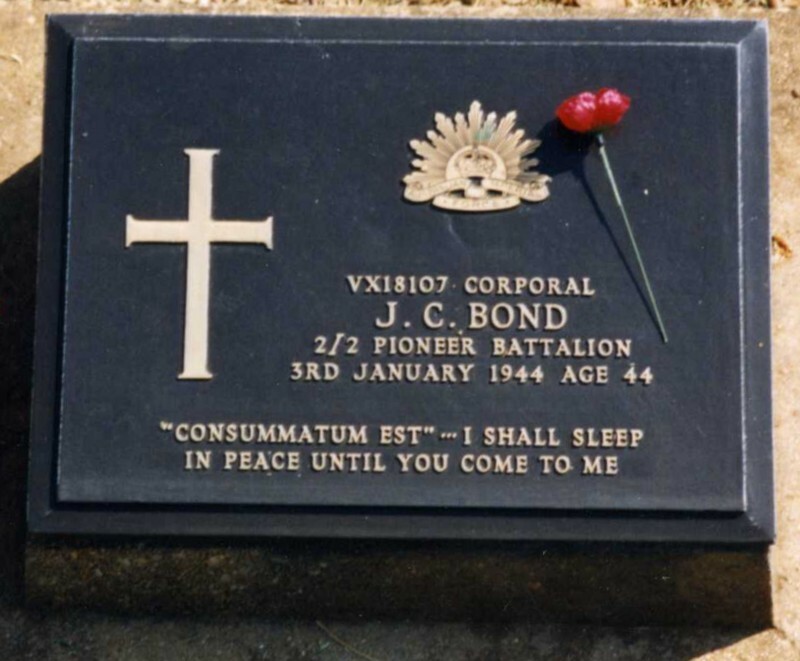 Background : Son of William James Bond and Bridget Theresa Bond; husband of Annie Pauline Bond, of South Geelong, Victoria, Australia. Service & personal summary Husband of Annie Pauline Bond At enlistment : married. No previous military experience. Grey eyes, brown hair. Marks / scars : scar on right instep.